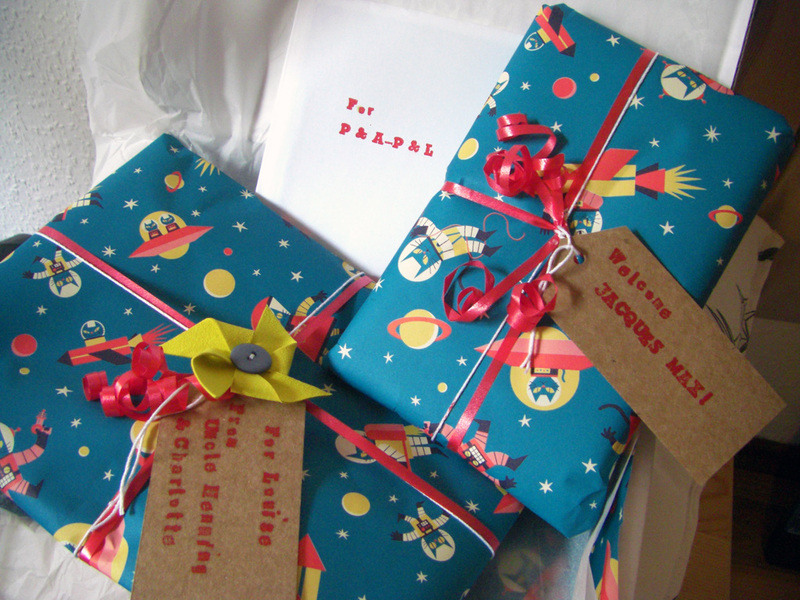 Gifts for a newly born baby boy. Not knowing the baby's gender before, we bought a lovely wooden elephant for the family a few months ago. 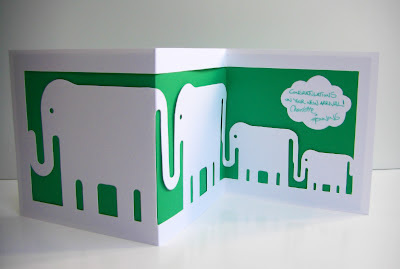 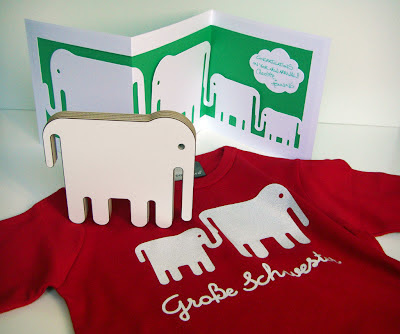 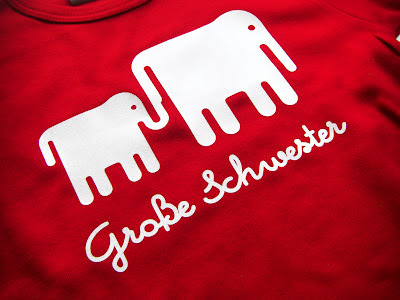 This inspired the design of the congratulations card with an elephant family, and also the print on a t-shirt for the little big sister.